What makes Gum Protection Mouthwash different from other mouthwashes? 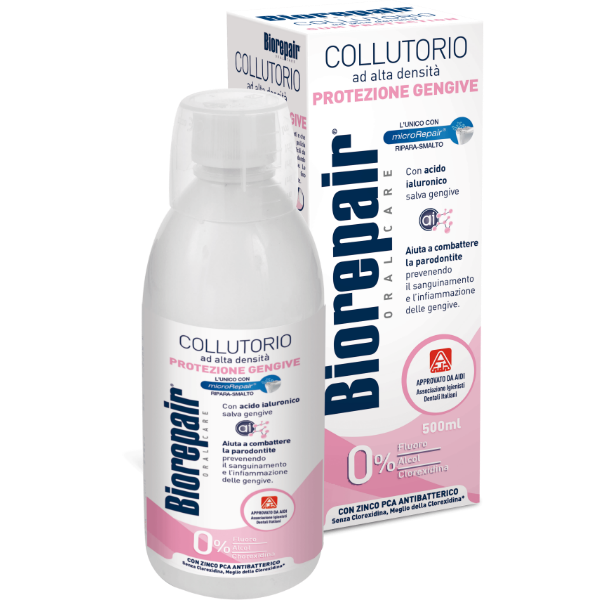 Gums often become inflamed, painful and bleed: Biorepair® Gum Protection Mouthwash provides relief to gums from the very first use, protecting and hydrating with its formula enriched with gum-healing Hyaluronic Acid. Moreover, the hydrating and protective properties of Hyaluronic Acid promote gum healing. Thanks to their combined action, microRepair® and Zinc PCA prevent plaque build-up on the gum line. The antioxidants Vitamins A and E protect the oral mucosa. The natural extracts of spirulina, calendula and witch hazel offer astringent and soothing properties. MicroRepair® consists of particles constituted by Hydroxyapatite whose composition is very similar to that of tooth enamel. This similarity gives microRepair® the biomimetic properties to integrate microparticles with enamel and dentin, with consequent mineralising and restorative action. DO NOT INGEST Children can use Biorepair® Mouthwash from 6 years of age and up, once they can control their swallowing. Enamel has micro-fractures that are invisible to the naked eye which compromise dental health. 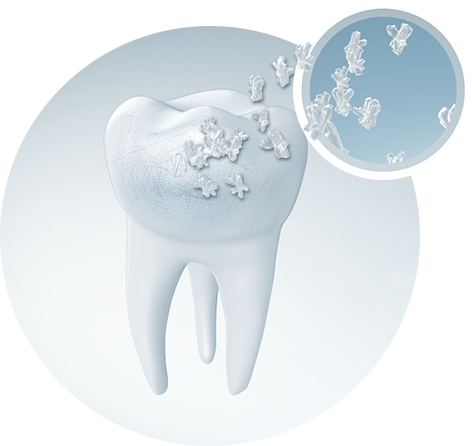 MicroRepair® particles penetrate the micro-cracks and repair the enamel. 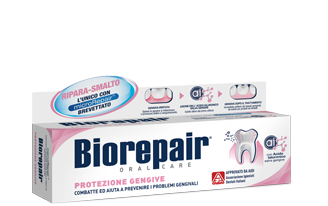 Biorepair® shields from cavities, plaque and tartar build-up.